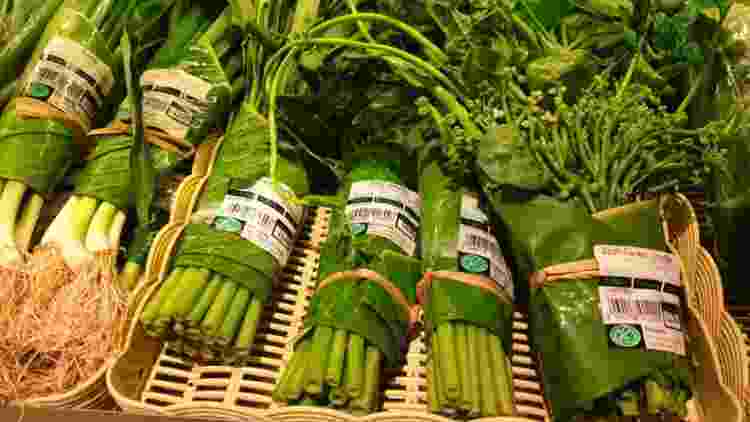 Supermarkets in Vietnam and Thailand have joined a campaign to use non-plastic products to wrap vegetables in a bid to protect the environment. As we all know, Plastics are harmful to health as well as for the environment. It’s poisoning the seas. Whales are washing up dead with a huge amount of plastics in their stomachs. Plastic bags disposed of carelessly can pose a danger to marine animals and birds as they can be mistaken for food. While many mammals die every year as a result of choking on plastic bags, plastics can make it back into the food chain if you eat seafood and then it poisons us too. 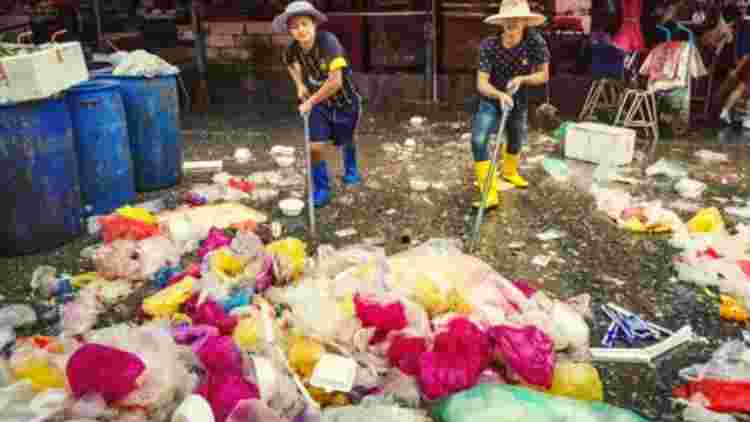 Vietnam and Thailand are leading the fight against single-use plastics by doing away with plastic bags altogether and replacing them with banana leaves. 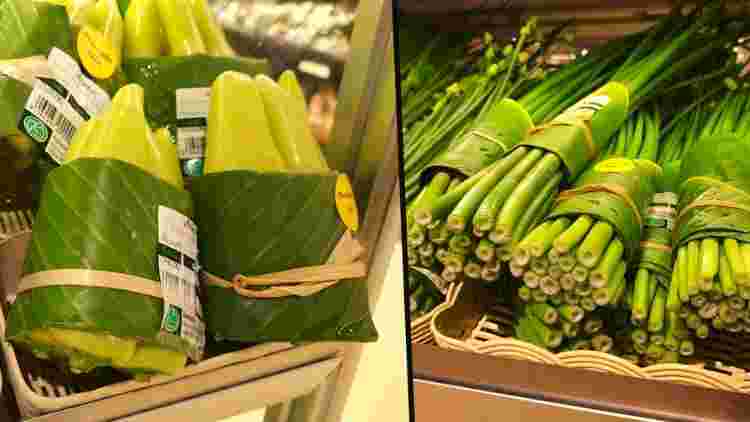 The use of banana leaves instead of plastic for packaging vegetables is a great way to reduce single-use plastics. This new and encouraging development started with a Facebook post showing the leaves being used in the Rimping supermarket in Chiangmai, Thailand. Supermarkets in the Vietnamese capital, Hanoi, as well as Saigon and Ho Chi Minh City, have all followed suit, after seeing how much good publicity that post got. According to a spokesperson for Lotte Market in Ho Chi Minh City, they’re only doing this as a test, but they plan to extend the initiative nationwide and hope to be able to use the leaves for meat as well as vegetables before too long. Big C supermarkets are offering shoppers completely biodegradable bags made with corn powder. Bangladesh was the first country to ban plastic bags in 2002. China, Israel, South Africa, the Netherlands, Morocco, Kenya, Rwanda, Mauritania, Sri Lanka, Papua New Guinea, Vanuatu, Albania and Georgia have since implemented similar bans. If we all keep at it, perhaps we – and everything else – might be able to turn this around.